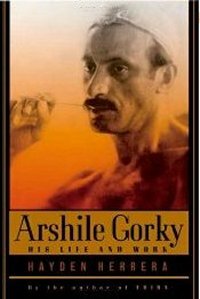 Hayden Herrera has written the definitive biography of Arshile Gorky — lucid, persuasive, meticulous, intimate and refreshingly cleareyed. Gorky is the sort of artist who in his life as much as his work invites extreme responses; and some of his biographers and critics have been unable to avoid lionizing him as the singular genius of his generation or dismissing him as a slave to greater masters. Herrera recognizes his strengths and weaknesses. Arshile Gorky: His Life and Work makes the case for his position as the bridge between European Cubism and Surrealism and American Abstract Expressionism, but acknowledges that some of his work is simply a restatement of Matisse, Picasso or Miró. Herrera is able to capture the grandeur and expansiveness of his personality. Gorky was a master at constructing myths about himself, and Herrera describes those myths and recognizes their power without buying into them. She is also a capable art historian, the author of volumes on Frida Kahlo and Matisse, and this book gives rigorous and insightful, if sometimes rather literal, readings of Gorky’s work. The thoroughness of her research can become tiring, but if you are interested in reading 600 pages about Gorky, these are the 600 pages to read. Arshile Gorky was born Vosdanig Adoian sometime around 1900 in Turkish Armenia. Though he survived the Armenian massacres, famine and migration, he saw his mother die of starvation. He never escaped the shadow of early traumas. In 1920, he emigrated to the United States, and within a few years began to construct a new identity: he took the name Arshile Gorky, pretending to be a nephew of the writer Maxim Gorky, unaware that “Maxim Gorky” was itself a nom de plume. Unhappy with his past, he denied being Armenian and claimed to be from southern Russia, even though he didn’t speak Russian. He lied about his age and his education. These falsehoods he kept up beyond all intimacies; his wife did not know his true origins until some 10 years after he died. He even kept secret from her the fact that his father was, during the early years of their marriage, alive and living in New England; by Gorky’s account, he had ridden away on a horse in Russia. Gorky’s life was his art. He began as a close follower of trends in European painting, and was mockingly called the “Picasso of Washington Square.” But while the work he imitated dealt with formal issues, Gorky’s own work was always intensely emotional. Already in the 1920’s he was beginning some of his masterworks, including the haunting “Artist and His Mother,” which he would go on reworking until 1942; it was a melancholy figurative painting of a boy blocked off from the object of his affections. Like his other work at this time it was densely layered: Gorky painted and then scraped back and repainted and scraped back to give his canvases a heavy, worked quality, coat upon coat of paint. Through the mid-1930’s, his work has a starkness that reflected his personal loneliness and his strained relationship with the country he had adopted. By the late 30’s, Gorky had moved on to his mature style, a form of figurative abstraction, full of references to the real world but elliptical in its content, and completed with thinner washes and less reworking. In the particularly refined “Garden in Sochi” series of 1941, he uses biomorphic shapes that are loose and painterly to create a dreamlike atmosphere. It was at about this time that he attached himself to the Europeans who came to New York to escape the war, including André Breton and Yves Tanguy. They represented a cosmopolitanism that was intimidating to Gorky, and later in life he would claim that they had been his personal ruination. But they were great supporters, and Breton declared Gorky’s paintings “an art entirely new . 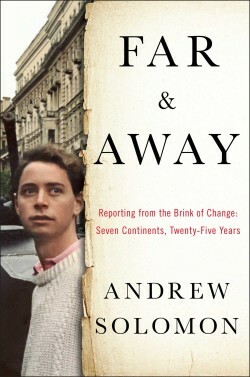 . . a leap beyond the ordinary,” at a time when American critics were giving him only lukewarm attention. The Europeans’ ability to inject humor into serious matters, and to work freely and automatically, playing the conscious and subconscious against each other, were transformative for Gorky. In 1941, Gorky met his true love and second wife, Agnes Magruder, whom he called Mougouch. She was 19, a lively and intelligent woman from a good family who was forever torn between the free spirit of her American childhood and the wish to be a good wife to Gorky — whose Armenian standard of domesticity placed women in a distinctly subservient role. She was to be a tireless advocate for him. Their early life was full of fun: they spent long romantic stretches in the country, mixed with the great artists of their time in New York, struggled to make ends meet and danced on the roof outside their apartment. In the period after he met Mougouch, Gorky’s happiness spilled forth into his work. The eternal Armenian pain and intensity remained, but in paintings like his pivotal “Waterfall,” he developed the confident use of line and richness of brushstroke that were to distinguish him in his later life. These works are sensual and electrifying. But this period of happiness shattered in the face of several disasters. In 1946, Gorky’s studio burned down, taking with it much of his life’s work. Then he developed rectal cancer and had to have part of his colon removed, leaving him reliant on a colostomy apparatus. The joy went out of his life and his paintings even as his technique became more sublime in works such as “The Limit” and “Agony.” Mougouch, feeling increasingly closed off from her husband, had a brief liaison. As Gorky’s depression escalated, he feared that Mougouch would leave him. Then he was in a car accident and broke his neck; his right arm was partly paralyzed. He developed a bleak depression. Mougouch finally decided, after he threw her down the stairs in a fit of anger, that though she loved him, she had to separate in order to protect their two small children. Gorky sank into a deep and unremitting despair, and on July 21, 1948, he hanged himself. His paintings, which had enjoyed mixed success during his life, came to be much treasured after his death, and the same works he had sold for under a thousand dollars were soon valued in the tens and hundreds of thousands, later millions. The critic Clement Greenberg, who had been grudging with praise while Gorky was alive, became his champion. “American art cannot afford Gorky’s death,” he wrote. This is the archetype of an artist’s life: full of suffering, loss, great love, conflict, desolation, suicide and genius understood too late. Herrera keeps it fresh for us. Her connection to the material feels intimate; and as it turns out, it is intimate. Her father married Mougouch quite soon after Gorky’s death. This detail is dropped in rather casually toward the end of the book; it should be up at the front. 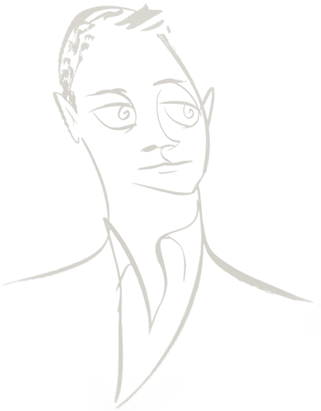 But the intimacy, whatever its source, has allowed Herrera to write with authority and a moving fond gentleness. Her book leaves you wishing that you had known Gorky.